White pyramid vase with appearance! White pyramid vase of 48 cm. 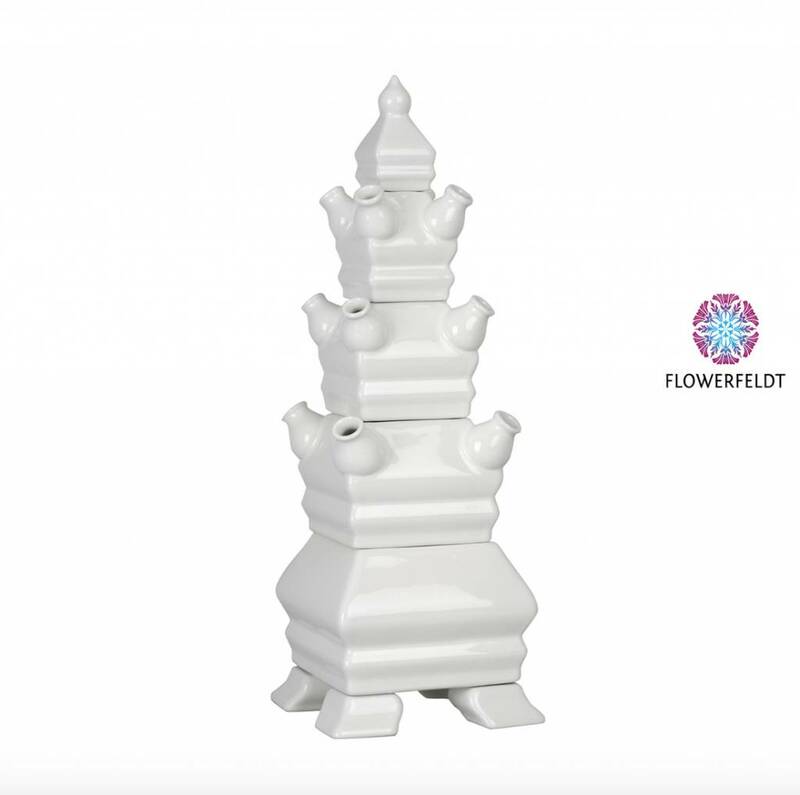 This white tulip vase consists of five stackable parts. A white jewel in a single color design. 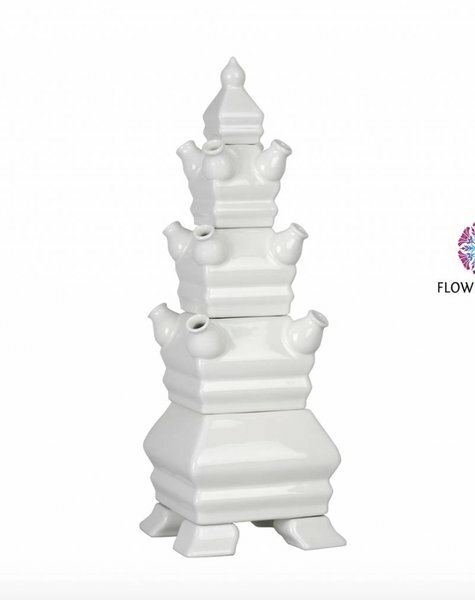 Buy porcelain pyramid vases in white at Flowerfeldt®.